Katso video ja lue lisää lehdestä Biofore nro 1/2014. Voit tilata lehteä joko suomeksi tai englanniksi. 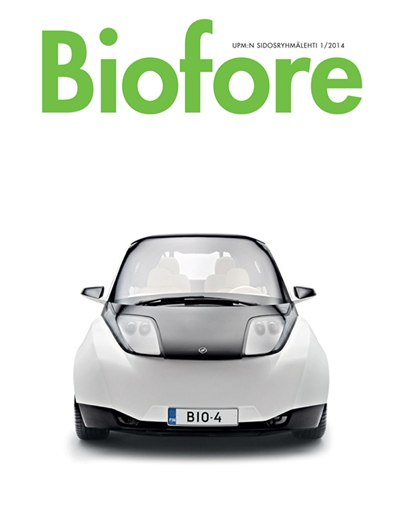 The Biofore Concept Car showcases the use of UPM's innovative biomaterials in the automotive industry and also for various other end-uses. The Biofore Concept Car is designed and manufactured by students from the Helsinki Metropolia University of Applied Sciences.